The mobile authenticator update to 1.0.2 is back up on the iTunes App store. The reports of people losing their Serial number upon update a few weeks ago prompted this being yanked. I just ran the update and can confirm that it did keep my serial from prior to the upgrade. 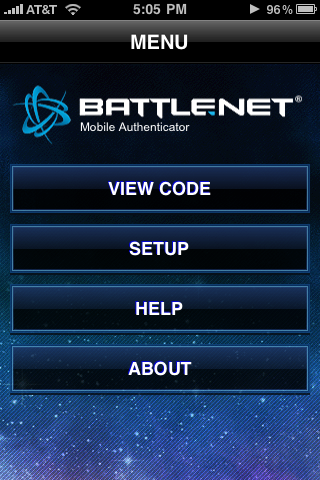 Blizzard does note that prior to upgrading you should remove the authenticator from your account. That way if your serial number does change, you can easily register the new one very easily without going through the well noted pain of that is Blizzard customer service, which is short of giving them a blood sample as to proof of ID. Just listen to the Outlandish podcast from two weeks ago to hear about the annoyance of this . And as a side note, everyone should have some form of authenticator on their account. This will help fight against hacking, it also removes a main tool of the gold farmer. Bioware has began recruiting testers for the new Old Republic MMO. I have been looking forward to this since the failure of the player experience update on SW: Galaxies. I have had my profile at SWTOR since it opened. 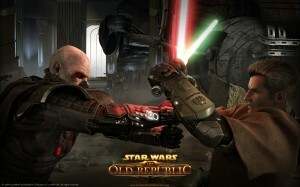 Well then finally now are recruiting Republic and Sith soldiers to fight the good fight. I am jazzed and really excited about this. I really love WoW, I think it has filled a good period of time, however I know and love the lore of the SW universe more then that of Azeroth. This very announcement may be the beginning of the end for WoW. Only time will tell. 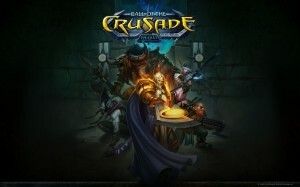 I have high hopes that it works and fills all that I want out of an MMO. It’s coming up, so please donate! My list is not limited to the following, it will all depend on how I am feeling at the time. As we get closer, I will list some times. I am toying with the idea of streaming this, I am still really undecided. My goal this year is $500, which is almost twice as much as last year. Please just donate one dollar per hour if you can. If you cannot do that I will not turn down donations of any type. My link to the donation page is Here. Please donate what you can, you are helping kids. Texas Children’s Hospital treats all kids regardless of their ability to pay. This is a absolutely wonderful cause.